The construction industry is Farmer Brown Insurance stock in trade. Our professional team is familiar with the requirements of contractors and the complex contractual relationships that are inherent to their business operations. In our years of service to plumbers and plumbing contractors, we have crafted insurance programs to address a wide array of risk sizes, types and special coverage needs. A specialized plumbing contractors insurance policy is available for you, no matter the size of your business. In addition to coverage for large businesses, coverage is available for both smaller businesses and the self-employed. At Farmer Brown, we understand that companies have unique insurance needs. Whether you in the market for general liability insurance or other custom plumbers insurance policies, we are able to meet your needs, no matter how specific. 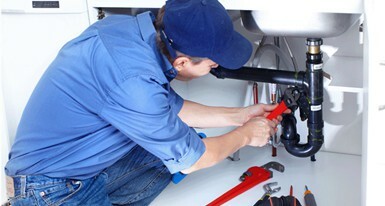 Our plumbers and plumbing contractors coverages are designed to protect against the risks typically faced by these companies through tailored and comprehensive policies. Our policies include wide-ranging property coverage as well as extensive liability coverage. The professionals at Farmer Brown can help you navigate the maze that insurance can be. As your coverage becomes more complex each day, put our experienced team to work to help you identify your exposures and how to best address them in order to keep your business flowing. By selecting the best specialized or general liability insurance policies from the nation’s top insurance carriers, FarmerBrown.com is able to deliver coverage that represents the greatest value for you. You can obtain an online quote or call (888) 973-0016 today to find out more about the extensive insurance programs offered by Farmer Brown to reduce premium cost and risk. Let the Farmer Brown team make obtaining insurance coverage easy and trouble-free.